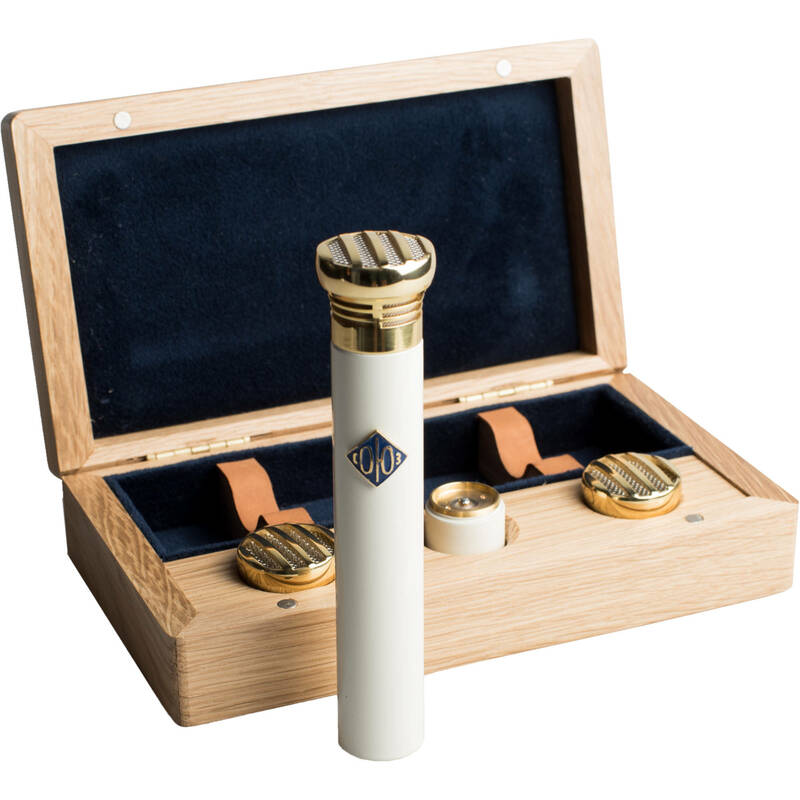 This Microphone Set from Soyuz Microphones comprises of one SU-011 small diaphragm tube condenser microphone with a cardioid capsule, a BP-011 power supply with power cable, one hypercardioid capsule, and one omni capsule. The set also includes a wooden storage case, an XLR microphone cable, and a microphone clip. This microphone offers a sensitivity of 12 mv/Pa when used with the cardioid capsule, 10 mv/Pa with the omni capsule, and 14 mv/Pa with the hypercardioid capsule. Handmade in small batches in Russia, the SU-011 Small-Diaphragm Tube Condenser Microphone from Soyuz Microphones features an original "dead stock" Soviet sub-miniature tube manufactured in 1986. It includes a cardioid capsule, which can be swapped out with optional hypercardioid and omnidirectional capsules. For further sonic possibilities, the SU-011 accommodates the capsules from the large diaphragm SU-017 microphone. A dedicated power supply, 6-pin cable, mic clip, and wooden box are included. The Soyuz Microphones SU-011 HC is a hypercardioid capsule designed for the SU-011 small-diaphragm tube condenser microphone. It attaches easily without tools for quick swapping during sessions. The Soyuz Microphones SU-011 OC is an omnidirectional capsule designed for the SU-011 small-diaphragm tube condenser microphone. It attaches easily without tools for quick swapping during sessions. Box Dimensions (LxWxH) 18.5 x 11.6 x 5.9"
Box Dimensions (LxWxH) 1.5 x 1.5 x 1.0"